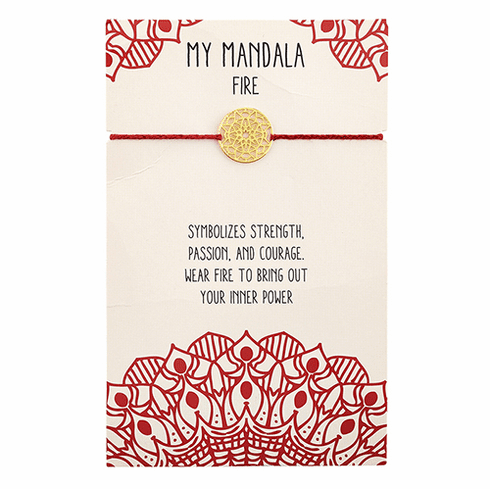 Bring out your inner power with this Mandala Fire bracelet which symbolizes strength, passion, and courage. This inspirational bracelet is an easy to wear adjustable braided design that can be worn alone or stacked with other bracelets. Fire bracelet with a center brass medallion and ending tassels is a perfect fashion accessory and makes a great gift for both men and women of any age.